A Miao child in a remote village of southeast GuiZhou. 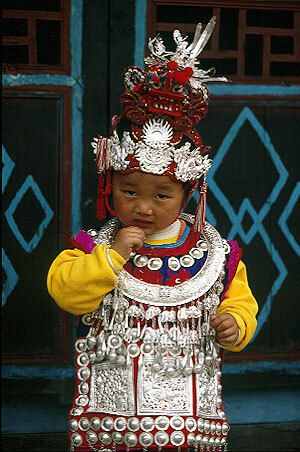 Silvery ornaments are the symbols of ethnic Miao people, as of the costumes usually beautifully made. During many of the Miao festivals in southeast GuiZhou, old and young all dress up cheer fully for the occasions.